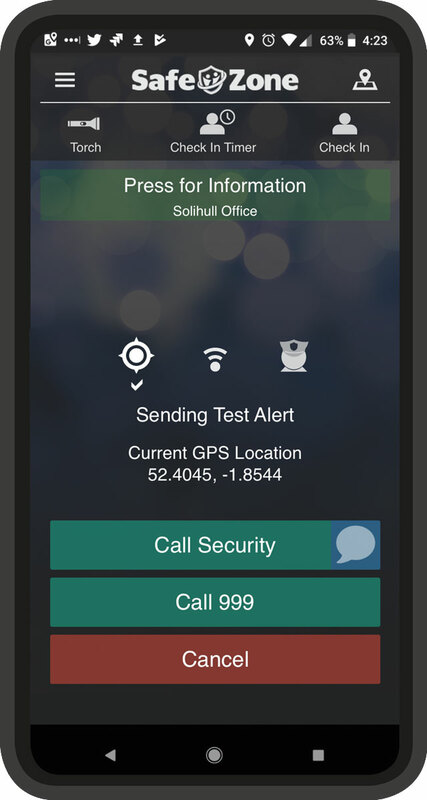 To test your SafeZone app, make sure you are in a region supported by your response team. 1. 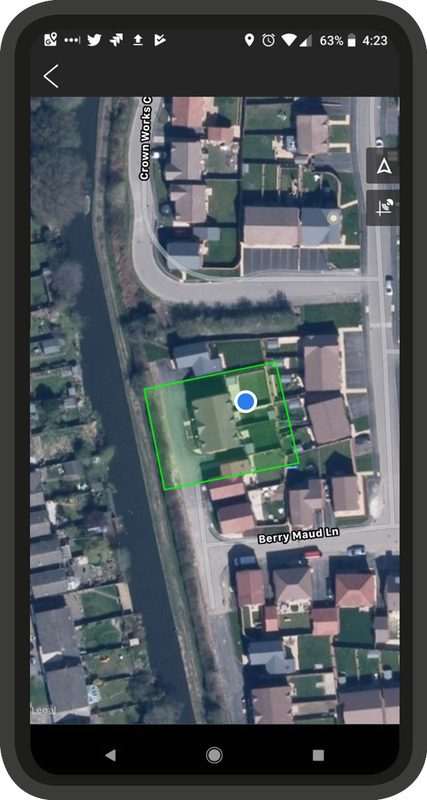 Use Menu / “Regions” function to show the region boundaries – look for a green test region, and go to that location. 2. Use “Show my location” button. Confirm you are in the test zone by showing your location. Your location will be marked with a blue dot. 3. When you are inside the test region, SafeZone will show “This is a Test Area” message. You can now proceed with a test alert. 4. Tap the blue help or green first aid button. Observe the countdown timer winding down for a few seconds before the alert is sent. While the timer is winding down, you can tap the button again to cancel before the alert is sent. Location services are enabled; notifications are enabled, and you are inside a test region. Note: If you tap the RED Emergency button, it will send an alert through to the security team. You can stop the alert by tapping it again before the countdown timer is completed. Otherwise you will be contacted by security to check that you are OK. If you have problems with the test, contact SafeZone Support.